I’m a history buff and hopelessly nostalgic. I’ve traveled cross-country to attend silent film festivals. My television automatically tunes to Turner Classic Movies at startup. I’ve been known to listen to a few vinyl records after a long day at work. Go ahead and judge me. That doesn’t mean I don’t like technology. My latest project is creating the smartest Smart Home on my block. New innovations have their place in our everyday lives, but a little refresher in the older stuff makes for a good change of pace every now and then. One place I don’t like old technology is in my financial products. That little magnetic strip on the back of your credit card is the same tech used on the cassette tapes you played in your Walkman. It was bad then and is worse now. Hence the introduction of EMV chips. 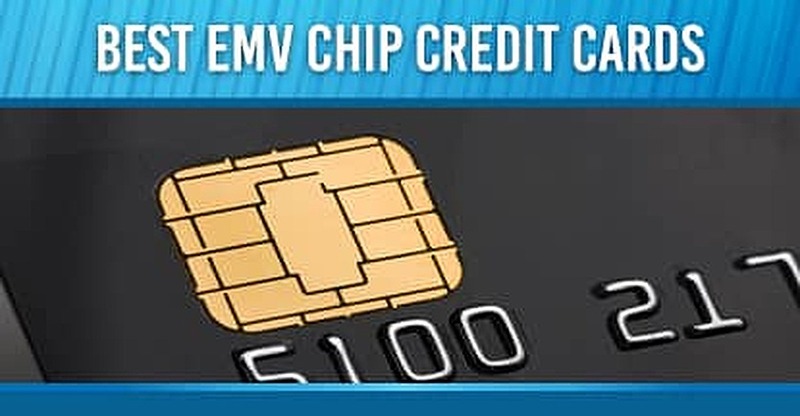 Chip-card technology, also called EMV (which stood for Europay, Mastercard, Visa — the three companies that originally created the standard — before becoming a registered trademark of EMVco), has been commonplace in Europe for more than a decade. While the US lagged behind in the security-rich technology, companies began a push for widespread access to the chips over the last few years. All three of our choices below offer top security options with low APRs and rewards that make each at home in your wallet. With the technology is still fairly new in the US, it’s important to choose an issuer that’s ahead of the curve and understands the latest trends in both security and processing. All three options below have a proven track record of success in both areas. The difference between the chip and the strip is easier to see under the hood. Magnetic-strip cards have specific data embedded in them that never changes. If a counterfeiter gets hold of that data, they can replicate it as many times as they like. In contrast, EMV cards are run by a microprocessor chip embedded on the face of the card. The chip creates a unique code that generates — and regenerates — with every transaction. Codes are never used twice, so if someone gains access to it, it’s already obsolete. Along with the virtual impossibility of duplicating the cards, they also include multiple methods of making payments. Chip + PIN, the standard overseas, requires a secure PIN number with each transaction. Chip + Signature — more common in America — uses a signature to verify each purchase. EMV also allows contactless payments, meaning that shoppers can wave the card in front of a pad instead of swiping or inserting it. We all love to be rewarded — and we want the best rewards we can get. In fact, more than half of US credit cardholders will choose a new card to receive better rewards. And as issuers battle for consumer attention in a crowded market, that number is sure to keep growing. Alongside cash back percentages and point hauls, most high-end rewards cards also offer sign-up bonuses for added perks if you spend a certain amount within a trial period. Bonuses change often, so check regularly with your favorite issuer to see what they’re currently offering. Rewards are a good way to create a side savings, build up a stash of travel points, or have a rainy-day fund that pays for a night on the town. With responsible usage and regular payments, the rewards can roll in quickly and potentially allow these cards pay for themselves over time. If you plan to travel internationally anytime soon, you should start looking at chip + PIN cards that can help make your vacation abroad a breeze. These cards are standard in Europe and Asia, with many businesses (and most kiosks) requiring a card that can handle PIN verification to complete a transaction. Indeed, even for something as mundane as train fare, you’ll likely need a chip + PIN card to be on your way. Carrying cash is risky, and paying to convert your money into local currency can get pricey quickly. With the latest security and no foreign transaction fees, here are our choices for the best EMV-enabled cards for your travel needs. Credit card issuers have different global footprints. 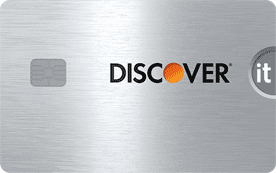 Visa and Mastercard are global brands that will be accepted just about anywhere you find yourself. Citi has gained wider acceptance since its acquisition of Diner’s Club, while American Express has expanded its reach significantly over the last five years. Before you board the plane, make sure your card is prepared for a safe landing wherever you head. And don’t forget to call your issuers ahead of time and let them know you’ll be traveling. Few things can wreck a vacation like having your cards turned down due to fraud alerts. Dealing with credit card security issues can be a hassle, one that can cost you time, money — and a tremendous amount of sanity. Given that most business owners have enough on their mind, it makes sense to avoid the potential pain of a less-secure card by choosing one with the latest technology. With an EMV-enabled credit card, you can rest assured that the sensitive information transferred during financial transactions is safe and secure. Since 31% of small business owners say they’ve used their card in the previous year to meet capital needs, your card is likely a partner that you occasionally depend on for a boost. 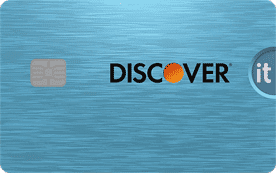 Add to that the ability to earn cash back or travel miles at a high rate, and these cards are a great partner to have. If you’ve ever had to deal with identity theft, you know how scary and frustrating it can be. If it happens to a business, it could be a fatal blow. With the rise of EMV technology, most cards are equipped with the onboard chip technology that makes each transaction more secure. If your business card hasn’t yet made the transition, it may be time to look for a new issuer. College is a time when many students are more concerned with GPA numbers than credit scores. Life comes at you fast, however, and if you aren’t careful, the transition from student to employee may be a hard one. Many employers today look at credit scores to determine how responsible a potential hire is, and they’re not the only ones. Ever try getting an apartment, cell phone, car, or other necessity with a damaged credit profile? I wouldn’t recommend it. Get a head start on your financial future with a credit card that’s geared for the student body, while boasting the technology that will keep your personal information away from identity thieves. A study in 2015 found that college students with a credit card in their own name had on average 1.5 cards. The median credit limit on those cards was $1,900 (though the average limit through American Express topped them all at $2,333). That same survey found that students charge 10% of their average monthly expenses on a combination of their own and their parents’ credit cards. That’s a lot to rely on a substandard card if yours isn’t EMV capable. No matter your credit history, everyone has the right to privacy and security with their financial transactions. Identity thieves don’t check credit reports before stealing someone’s identity. If you’re looking for a card that can grow with future advances in technology — as well as improvements in your credit score — the options are plentiful. 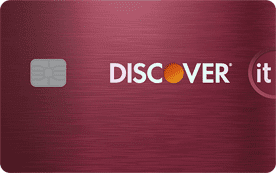 With rewards options and low-or-no annual fees, these cards aren’t far off from their brethren designed for good and excellent credit. Instead of settling for a subpar card that offers no bonus other than the ability to use it, why not look for a card that suits more of your needs and lifestyle? Fair credit scores fall within a wide range, depending on the scoring model, but a number in the 600s is generally considered to indicate fair credit. If you’re on the low end of that scale, your card offers could differ from applicants on the high end. Before applying for any card, be sure to understand your current score and what doors it may open for you. Prior to the introduction of EMV technology in the US market, card issuers were on the hook for any fraudulent charges that took place. With EMV, any retailer that doesn’t accept the technology has to take responsibility. That’s made acceptance of the cards spread at a rapid pace across the country. At the end of 2012, only 0.12% of all transactions in America were made with an EMV chip. That number has since exploded. Meanwhile, as music lovers worldwide turn to the internet or their phone’s app store to purchase their new favorite song, few are left carrying bulky Walkman devices to listen to the latest hits. Why carry the same technology in your wallet? If you haven’t switched to an EMV-enabled card for your everyday purchases, it’s never been a better time to do so.